Although the transfer window is now closed in Italy, AC Milan continue to be linked with a move for Lazio’s Sergej Milinkovic-Savic. The Rossoneri were busy this summer bringing in the likes of Gonzalo Higuain, Mattia Caldara and Tiemoue Bakayoko as they try to launch a bid to break into the top four in Serie A and qualify for the Champions League. As per Calciomercato, the Italian giants were also linked with a late bid to try and prise Milinkovic-Savic away from Lazio, with a bid worth an initial €40m for a loan move coupled with a €70m option to buy at the end of the campaign touted. However, the move didn’t materialise and Gennaro Gattuso is arguably still in need of reinforcing his midfield options as Milan perhaps lack the world-class quality needed at the highest level. Despite their failure to secure a deal for the 23-year-old before last Friday’s deadline, Calciomercato now claim that despite sporting director Leonardo publicly insisting that they simply can’t afford a player of Milinkovic-Savic’s value especially with their recent Financial Fair Play issues in mind, the club did try to sign the Serbian international. 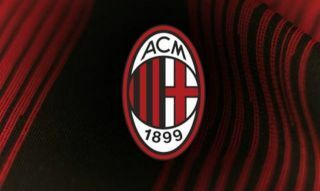 Although they weren’t able to reach an agreement in the last window, it’s suggested in the report that the Rossoneri could try again in January as perhaps their financial limitations may have lifted slightly. There is no denying the quality and potential that Milinkovic-Savic possesses, as he has shown it for Lazio over the past two years. With the physicality, defensive solidity and attacking threat to make him all-round dominant midfielder, it remains to be seen whether or not he takes the next step in his career and joins Milan next year.